My Old Kentucky Home, how I've missed you! I just had a wonderful week visiting eight schools and found nothing but enthusiastic students everywhere I went. People always ask me what I do when I go to schools. Well, I talk about growing up in a small town, moving to the big city, and how perspective can inform a character. 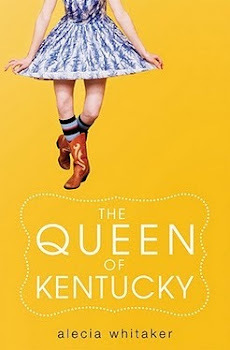 I talk about the themes of my first book, The Queen of Kentucky, and then I read aloud from it. That part is really fun and the students this week asked for one more page at every stop! And then I host a Q&A period where students always seem to ask me questions that just so happen to lead me into discussing the Teacher Review topics of Practical Living, Arts & Humanities, and Writing. We discuss street smarts, character and development, outlining, publishing, getting a literary agent, critique, acting and auditions, and even contracts. And the best part? The kids are truly interested. I love it! Here are a few pics from my week. Thanks again to the schools who hosted me. If you want me to come to your school, contact my booking agent, Jocelyn Sams, here. You can get more info on my website here. The next day, I made my way over to Paul Laurence Dunbar where high school students picked my brain. Their librarian provided chips and bottled water, which was a win as soon as they walked in the door. Then I drove to Paris Middle/High which is only about fifteen minutes from where I grew up. The students asked so many questions and some of the kids are going to start a book club. Can't wait to Skype with them! No pics, but hopefully they will post some on my Facebook Fan Page. Then I drove to Winchester and visited a Creative Writing class at GRC High School. These kids are halfway through National Novel Writing Month and were super inspiring! I could have talked to them all day. On to Conkwright Middle School where I was lucky enough to have a repeat visit. Their awesome librarian had me there in March so I was so excited to come again this school year. The students were super excited and after my presentation, one teacher took her class back to their classroom and started reading my book aloud at the students' request! McNabb Middle School in Mount Sterling booked me for back-to-back presentations. That can be a hard gig... unless you have amazing students like the ones at this school. I was given another t-shirt and one boy talked my ear off about his own book. I'm sure we'll all be reading something of his one day. The last stop on this tour was the Kentucky Book Fair. I am so thankful that they squeezed me in last minute. Next year, I will surely come back. There were rows and rows of local Kentucky authors and the place was packed. I ran into one of my favorite librarians, Gwen, who was the first to ever book me. 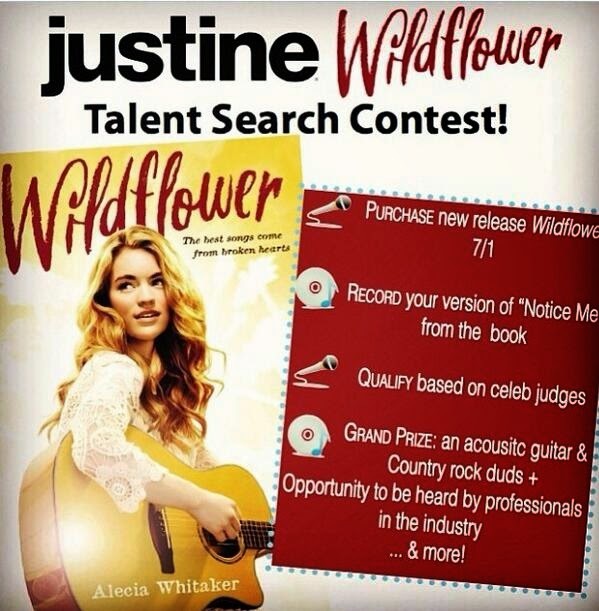 I can't wait to visit Moore Traditional again when Wildflower comes out! And some students from Elkhorn Middle School were volunteering and recognized me from a school visit in September. I was born in Frankfort and lived there for five and a half years, so it was a real treat when some of my mom's friends stopped by to see me! They even brought baby pictures. lol! I had an amazing trip and it's all because of my fans. I love you guys. I love hearing from you, I love that the book is connecting with you, and I hope to meet more students in person when I am back in Kentucky at the end of April. If you want me to come to your school, please go to my website and click on the Bookings Tab. I love Kentucky! Oh, my dear long neglected blog, I feel so ashamed that I left you in the dust to focus on writing novels and making babies. If you will, please accept my apology and know that both the two boys and two babies I made during my time away are pretty awesome. 1) I am doing a book tour of Kentucky again this month. I'll be in schools in Henderson, Lexington, and Winchester for sure with possible stops in Paris and Mt. Sterling as well. 2) If you want to see me and/or get a signed copy of The Queen of Kentucky, come see me at the Kentucky Book Fair on Saturday, November 16 in Frankfort, KY any time between 9am-4:30pm. I'd love to see you! 3) A few people have mentioned that they didn't realize I get paid for every click on The Baby Book, my weekly vlog about raising up these kiddos of mine. If you are one of those people and want to support me, a) thank you! and b) go and subscribe! You will get an email once a week with the new episode. Click, watch, comment if you'd like, share with your pals, and know you're helping this momma keep food on the table. 4) The cover of my new book, Wildflower, is gorgeous. I can't wait to share this book with you. July 1, 2014 seems so far away! Thanks for the nonstop love y'all are constantly showing me and my family. You're the best.